New month. New goals and you’re probably going to need a few fun details to make sure November’s going to be the one of the 12 BEST months, ever! I’ve designed this A4 2016 planner for you to download and print off at home. 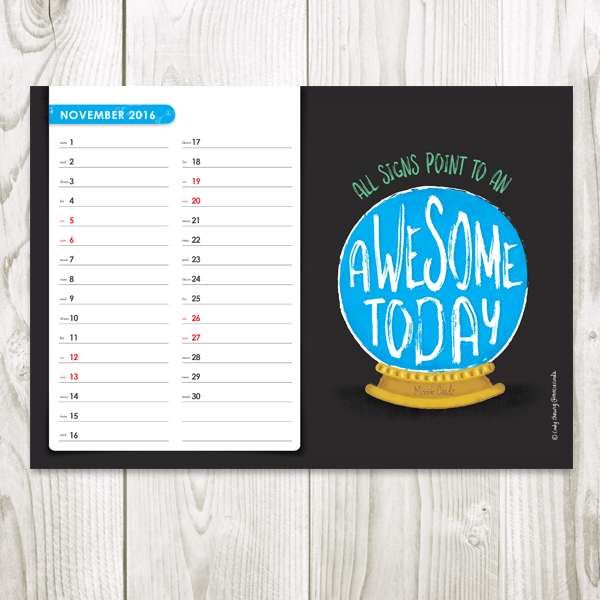 Print out onto A4 good quality, smooth, thick white card stock (always make sure, in the printer ‘setup’ that you set your printer quality settings to “High”) and hey presto, you’ve a Cindilcious planner! All my wallpapers are free, ready to download, and brimming with 100% motivation – Enjoy.